After three weeks of driving around New England, I was more than a bit confused when we crossed the Canadian border and found ourselves in the south of France. No sooner were we waving goodbye to the over-eager border control with our stash of Hill Farmstead beer in tact, than the road signs switched allegiances and it was allez tout droit to the nearest winery with Foux de Fafa playing in the background. In between Burlington (Vermont) and Montreal (Quebec), there’s a beautiful region called the Eastern Townships, and it’s here that you’ll find La Route des Vins, an area rich in vineyards. 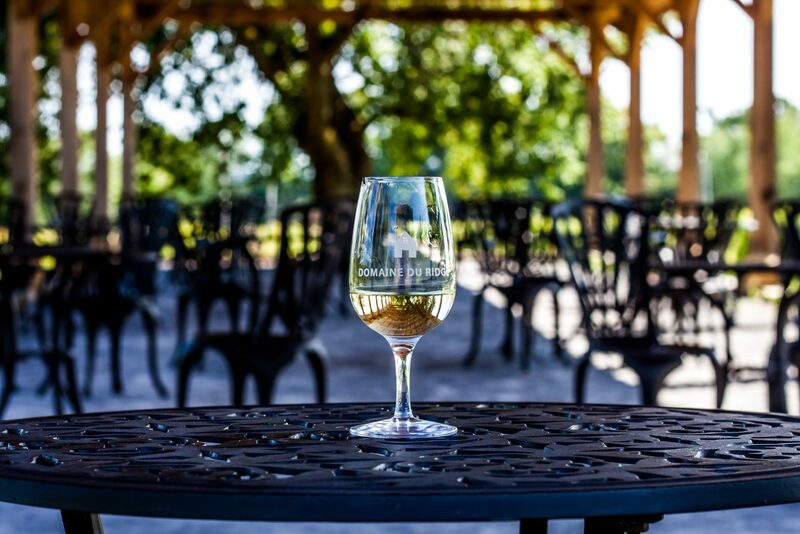 There are several notable wineries to choose from, and you could easily spend a vast amount of time (or retire) here, but if you visit just one, head to Domaine du Ridge (est. 1996) in the Champlain Valley. Domaine du Ridge is open from 10am daily for tours and tastings (some require booking ahead), but you can also just open a bottle and head outside for a stroll around the grounds, a picnic in the fields, or a friendly game of boules. The welcoming Nathalie took us through the complete Domaine du Ridge portfolio, from the stunning Champs de Florence rosé to the woody Le Batonnier, via their Berthelot-Paradis champagne and an oaky fortified Fado. Seyval grapes are employed to great effect more than once. If money was no object, and customs was a little more generous, we would have left with several cases. Instead, we settled for a bottle of the outstanding, dry Vidal du Ridge, and walked around the vineyards pretending we owned the place. We came with plans to move on to Vignoble Val Caudalies, Brasserie Dunham and more, but time slipped away in the idyllic surroundings of Domaine Du Ridge. I suggest you set aside a few days to explore this wonderful area at a leisurely pace. N.B. Some of the photos below were taken by one of my travel companions Maggie Gray – hover over images for details.